The Cleveland Museum of Natural History and its Wildlife Resources staff presented "Groundhog Fun Day" on Saturday, February 1. Attendees had the chance to meet Ohio hibernators such as snakes and turtles during live animal programs. Children made "Hibernation Passports" by completing activities such as crawling through a tunnel to see their shadow to collect passport stamps and receive a free prize. There were also two appearances by the museum's own groundhog, Lake Erie Eddie. 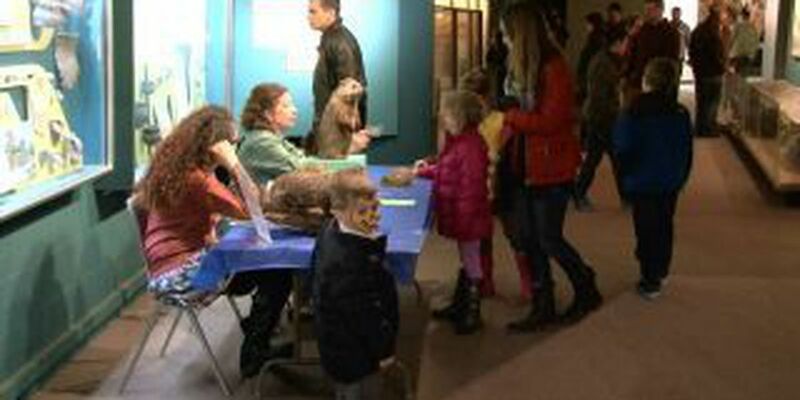 The family friendly event celebrated all things woodchuck, just one day before the Feb. 2 Groundhog Day holiday. Attendees experienced live animal encounters, crafts, face painting and demonstrations relating to the natural and unnatural history of everyone's favorite rodent. Attendees can visit the museum's native Ohio animals in the Perkins Wildlife Center and Woods Garden, which is a 2.2 acre outdoor gallery. The animals that live there have come to the museum due to injury or abandonment and have survived through human intervention. The animals serve as live ambassadors to educate museum visitors about nature, biology and conservation. The Cleveland Museum of Natural History is located at 1 Wade Oval Drive in University Circle, 15 minutes east of downtown Cleveland.